Even in late April, its still cold enough at lunch time for a nice hot bowl of homemade soup. 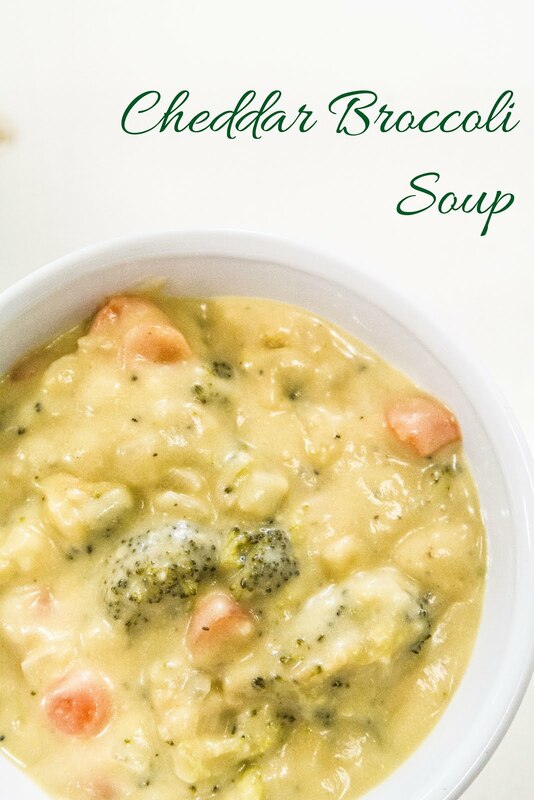 I made a pot of this Cheddar Broccoli Soup over the weekend and all the leftovers were gone the next day. 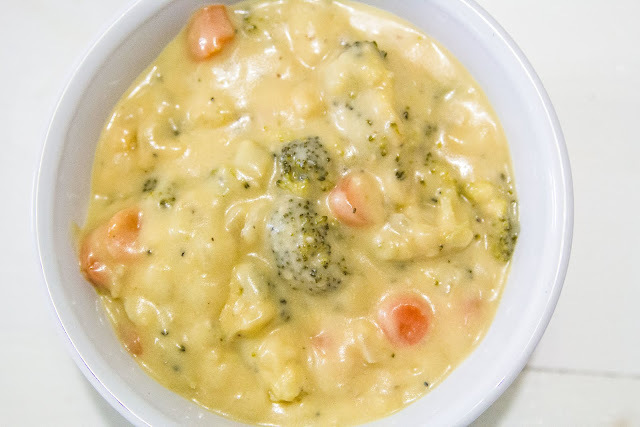 Not only is it tasty, but the kids actually ate the vegetables also. Score! 1. In a large pot, heat the butter until melted. Add the diced onion and carrots and saute for 5 minutes, stirring occasionally. 2. Stir in the garlic and saute for 1 minute. 3. Add the flour and saute for an additional minute. 4. 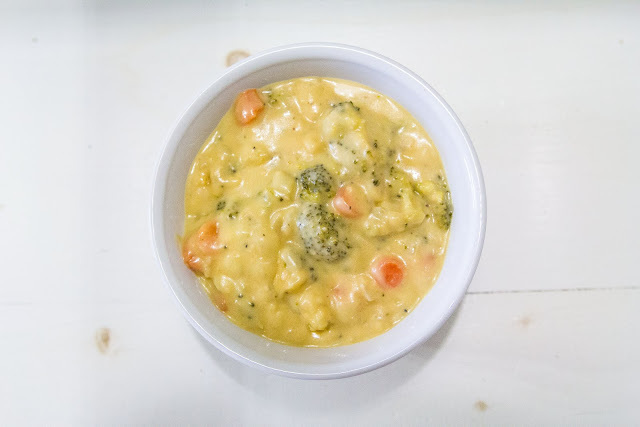 Add the chicken broth, milk, broccoli, dijon mustard and black pepper. Stir until combined. 5. Bring to a boil over medium heat, then reduce to a simmer for 10 minutes. 6. Remove from heat and stir in the cheddar cheese until completely melted. As I write this post, the temperature in NY is pushing 80. (To be fair, we did have a few inches of snow fall last week too). But with those warmer spring temperatures comes more trips to the park with the kids, more time spent in the car, and more road trips. 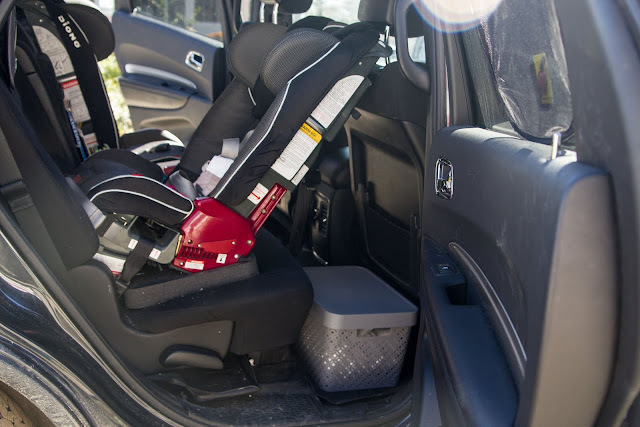 So today I thought I would share a few easy ideas to get the inside of your car organized and ready for all that spring/summer fun. Both my kids are still in carseats, which means the middle of the backseat turned into a big catch all spot. 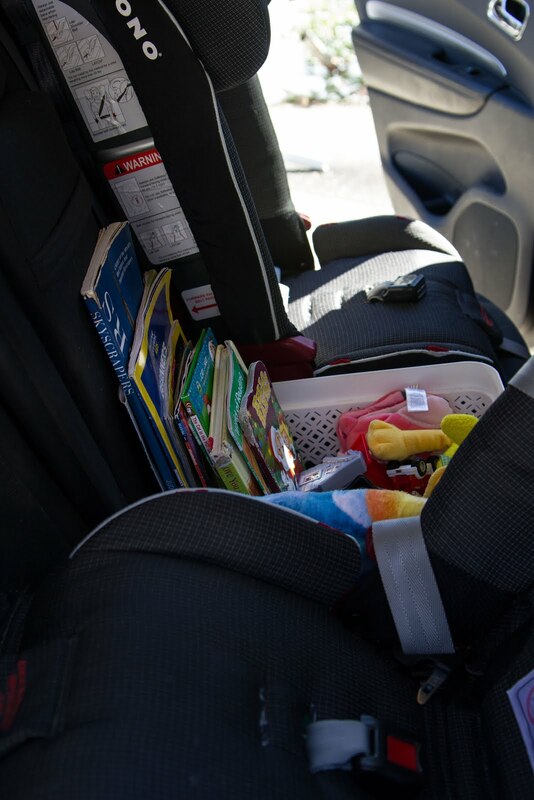 Each time we head out to the car both kids are carrying some toy or book that they "need" to have. To combat the black hole of toys, I found a shallow plastic bin that helps contain everything. As you can see from the pictures, there are a mishmash of kids stuff in it. 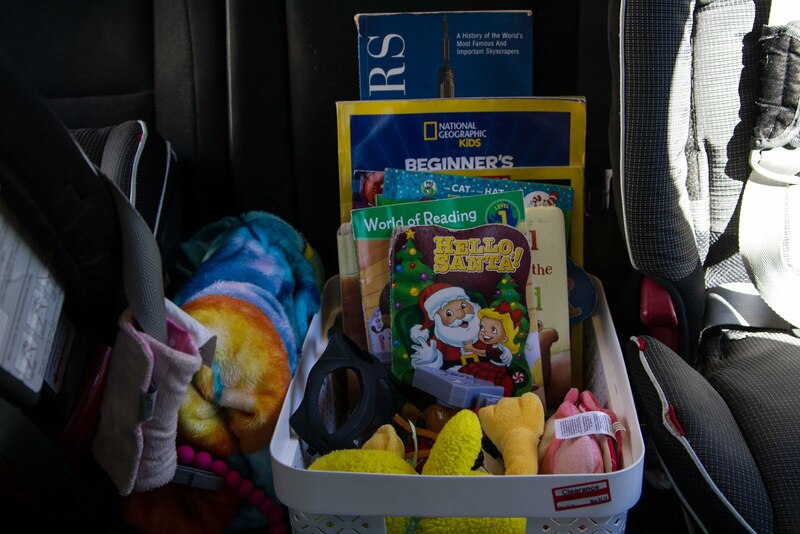 Some books for both kids, matchbox cars, a bunch of out of season holiday toys, a batman mask, and a couple cuddle toys for when they are sleepy. I also tuck a small kids throw in beside each of their carseats for when I am really hoping they will fall asleep. Behind the rear facing carseat, I have a deep plastic storage bin that I store all the "what-if" kids items in. 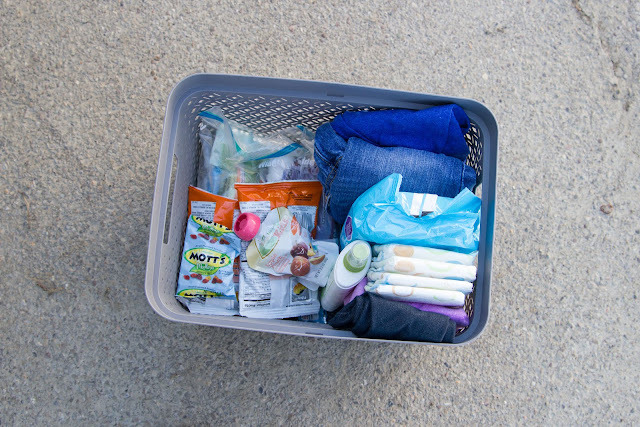 An extra outfit for both kids, some extra diapers and wipes, extra snacks, sunscreen, band-aids and a little first aid kit, and some extra gallon ziplock bags. 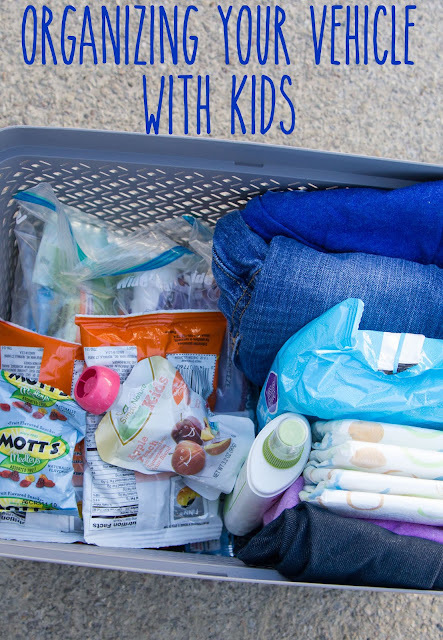 All these items live in the car so heading on a road trip to a museum or stopping at the park on the way home preschool can happen and I am prepared for a scrapped knee, the hungry tummies and parent's favorite, the bathroom accident. My center console contains all my "what-if" items. 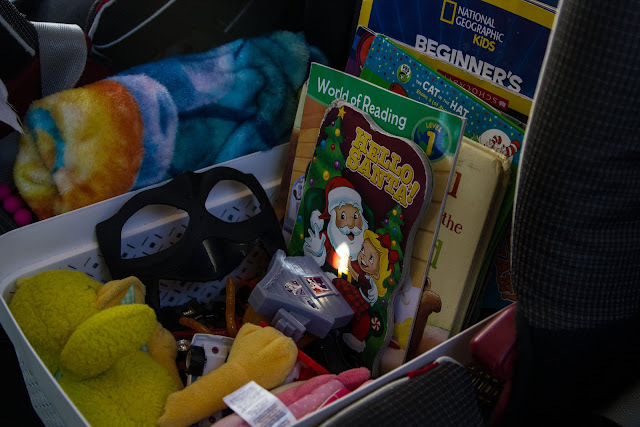 Although there is no organizing the deep dark hole of my center console, it does serve a purpose in holding my items. I keep a roll of the little 4 gallon garbage bags for easy trash cleanup, another bag of baby wipes, a little box of tissues, some extra napkins, a few extra dollars and a handful of quarters... just in case. 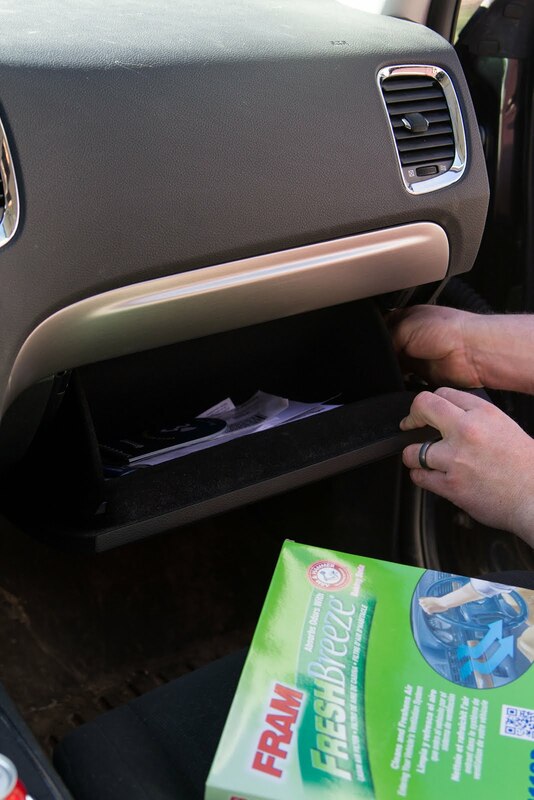 Now that my car is organized (I can't say clean...we live on a dirt road so a clean car inside or out doesn't really happen), there was just one last thing to do before being road trip ready... Change the cabin air filter. Did you know that the air inside your vehicle can be up to 6X's dirtier than the air outside? I picked up the FRAM Fresh Breeze® cabin air filter at Walmart and quickly installed it myself at home. 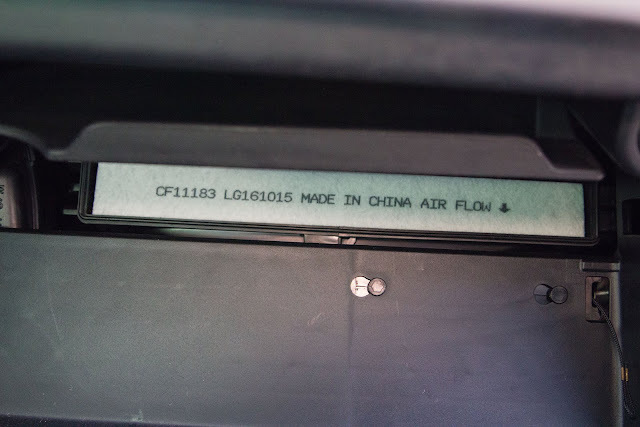 (This Walmart site lets you know which cabin air filter is the right one for your vehicle). 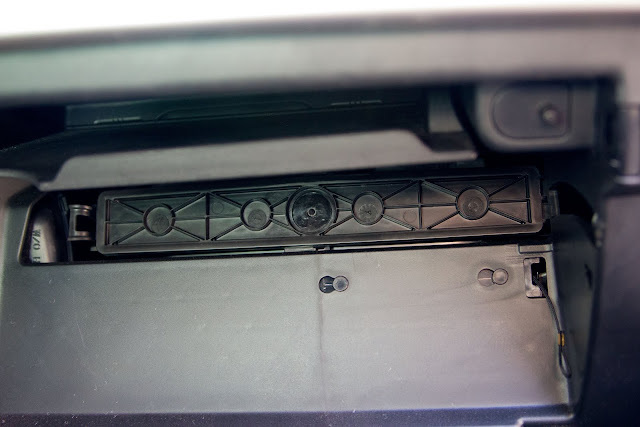 First, remove the glove box. Behind the glove box is the door to the cabin air filter. 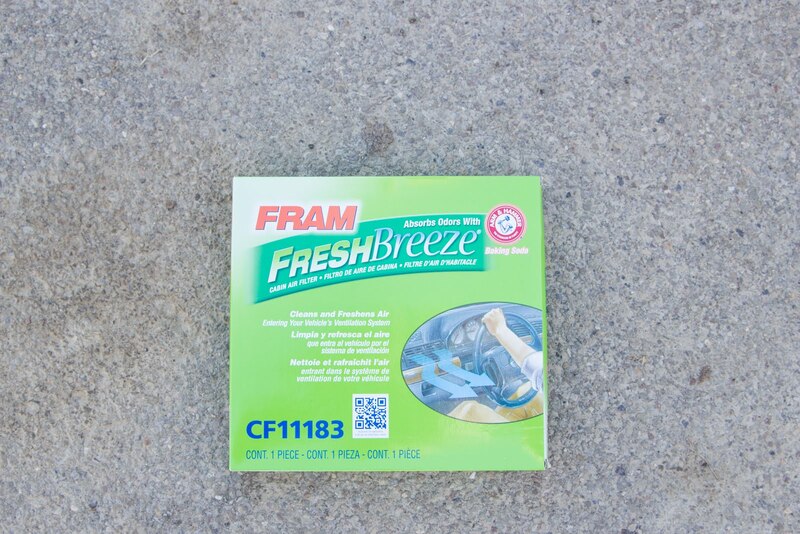 Once that is opened, remove the old cabin air filter and replaced it with the FRAM Fresh Breeze® cabin air filter. 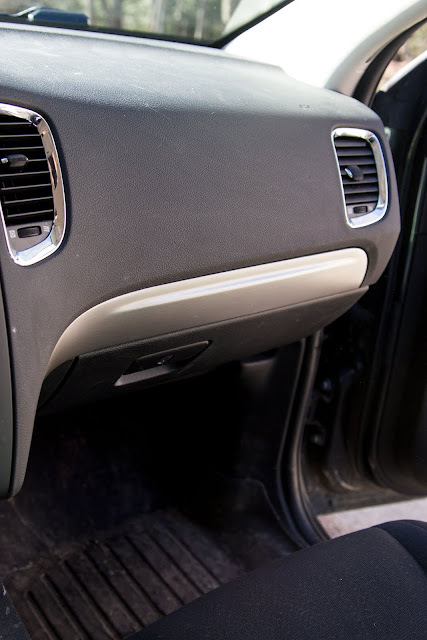 Reinstall the door and glove box. Close everything up and you are good to go.